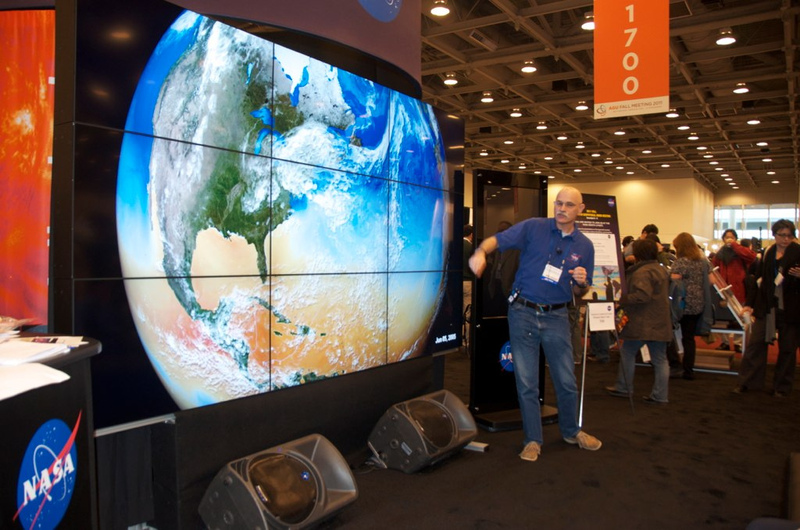 NASA’s Hyperwall is a video wall capable of displaying multiple high-definition data visualizations and/or images simultaneously across an arrangement of screens. 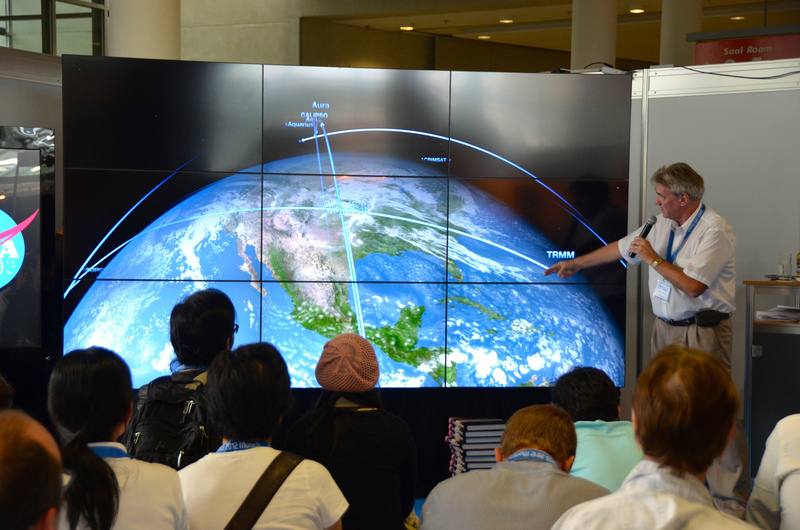 Functioning as a key component at many NASA exhibits, the Hyperwall is used to help explain phenomena, ideas, or examples of world change. 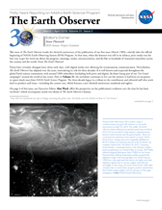 NASA satellite, telescope, and model data are used to highlight particular themes in Astrophysics, Earth Science, Heliophysics, and Planetary Science. 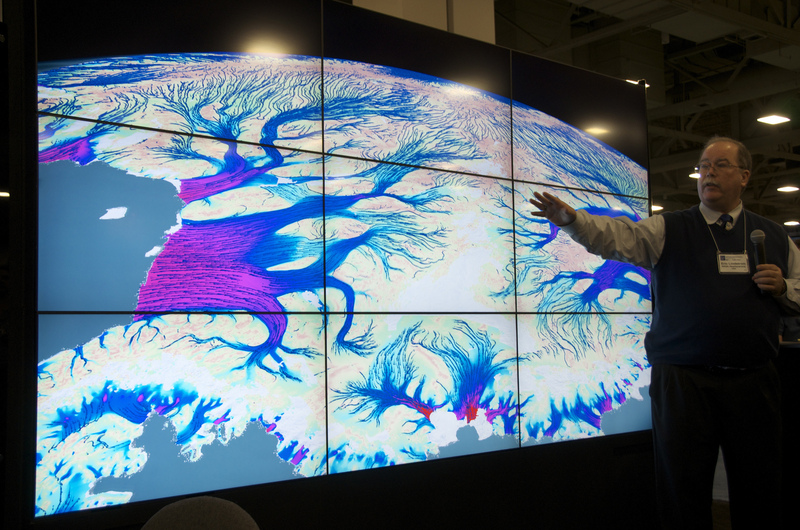 Many of the existing Hyperwall stories reveal change across space and time, while others display large-scale still-images accompanied by descriptive, story-telling captions. 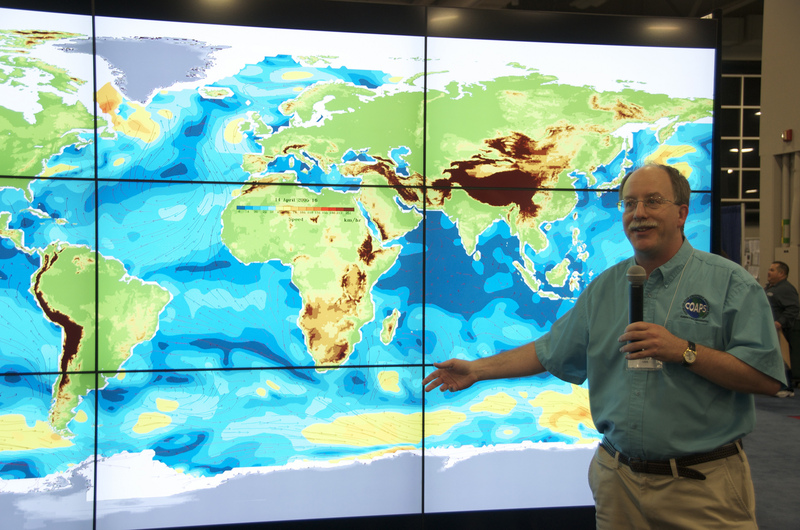 For a complete list of Hyperwall stories, and to download content, visit svs.gsfc.nasa.gov/hw This library of content is a great resource for those interested in using powerful visualizations and images to communicate NASA Science. 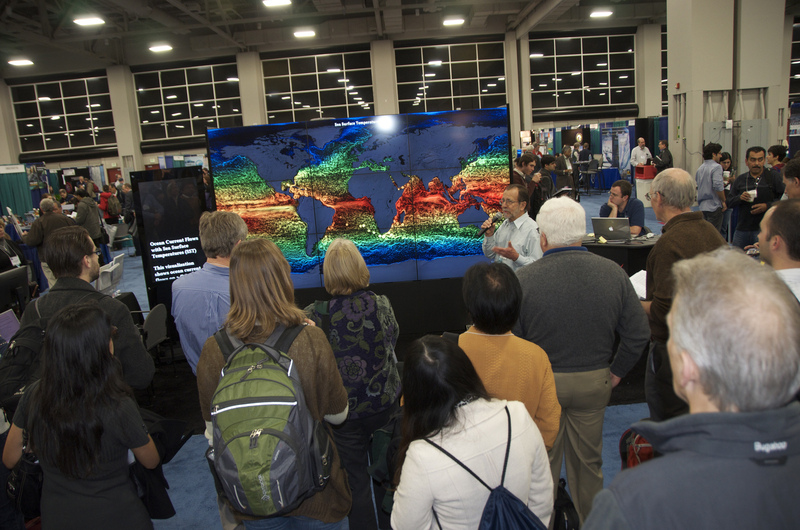 New Hyperwall content will continue being developed to promote scientific literacy across a diverse group of audience members. 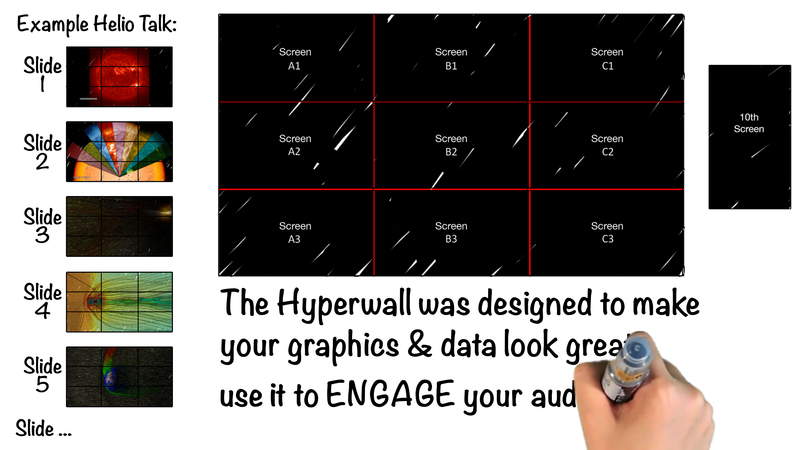 If you are a NASA affiliate and need to prepare content for the Hyperwall, will be using the Hyperwall to deliver a presentation, and/or want to learn more about designing Hyperwall layouts, download NASA’s Hyperwall: A Guide for Preparing Hyperwall Content or review the How to Assemble a Playlist for a Hyperwall Presentation brochure. 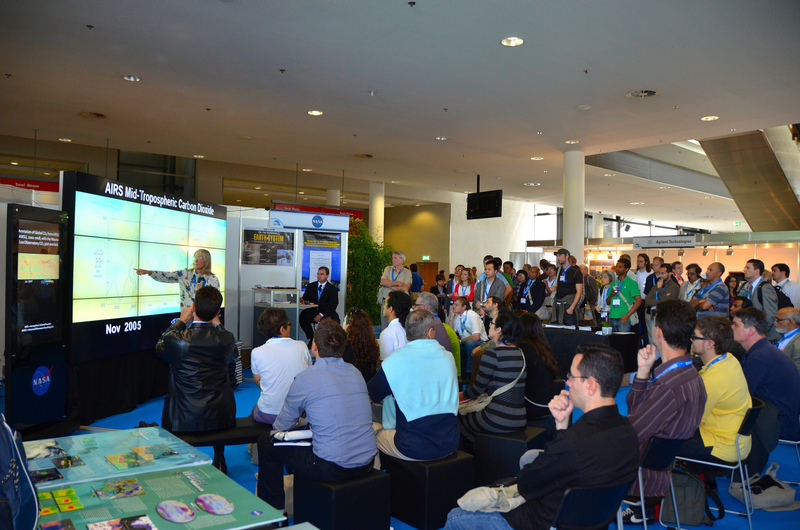 Although the Hyperwall cannot display PowerPoint or Keynote files, they can be used to design your Hyperwall layout(s). Download the PowerPoint or Keynote design template, mentioned in the user guide, to design the appearance of your Hyperwall show. These templates have been set up to display a grid that represents the individual video screens using a 16 by 9 page size. 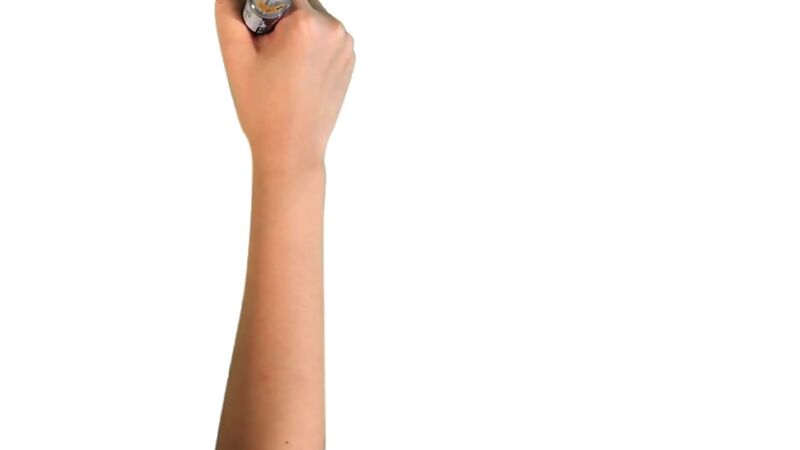 Once you are finished with your design in PowerPoint or Keynote, you will be assigned to work with someone from our Hyperwall staff to make your presentation “Hyperwall ready.” This will require you to send all high-resolution images, visualizations, animations, etc. imbedded in your PowerPoint or Keynote as separate files (i.e., we need individual files to configure your show).